CLICK HERE Take a look and browse through the collection yourself! 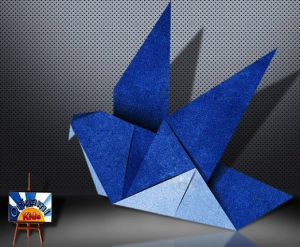 ORIGAMI AIRPLANES, WHIRLY-GIGS & BOATS! Here’s a great site with dozens of animated tutorials on how to fold high-performance paper airplanes, whirly-gigs, boats and more. We could say this is a great way to develop hand-eye coordination and pick up some practical examples of physics & geometry in action, but naaaah — the plain fact is these are great fun and a neat way for your kids to occupy themselves after study time is over, and create some great playthings. The site has a lot of ads, so just pay attention where you click. The How-to videos are at the bottom of each page. 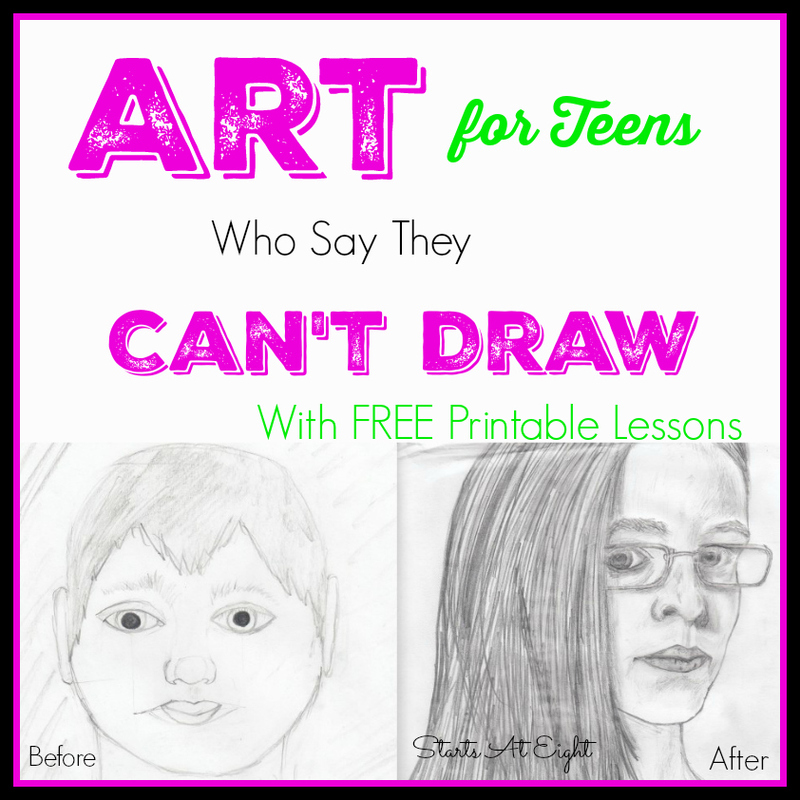 Here’s a simple, short lesson plan from the terrific Practical Pages website that is full of neat ideas to make great works of art come alive for your kids — by tracing them! Create a reference to a famous work and add it to written biographies and narrations. 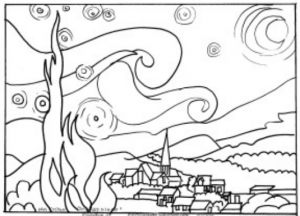 Although many adults consider this just “colouring in”, I encourage them to give it a try! It is MUCH more difficult than it seems! This is a great idea… give it a try. CLICK HERE to go to the website! If your kids are interested in animation and learing how to animate their own cartoons, here’s a great collection of beginner lessons for them from professional animator Larry Lauria. The Toon Institute’s free animation course offers a baker’s dozen lesson on the basics of animation, including the basics of animating a bouncing ball, squashing and stretching animated objects, character and face construction, timing, how to “thumbnail” a scene, and much more. These are a lot of fun, and explain the fundamentals of animation very well. Tammy Dube loves being creative and encouraging kids to be creative as well. 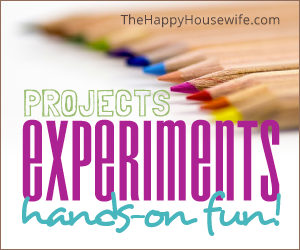 Her website Housing A Forest is packed full of fun experiments, art tutorials, educational activities and good old fashioned fun your kids will love. Take some time to browse the site and check out the different project categories too. Highly recommended! 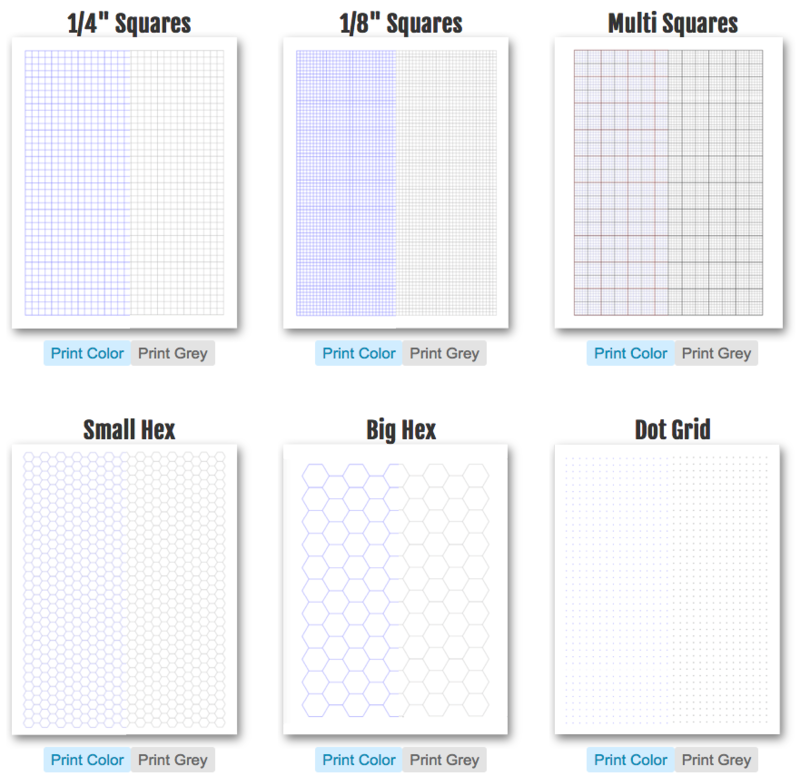 Have you ever needed a very specific type of graph paper or grid paper for a project or lesson? If so, you’ll understand the value of this very helpful freebie. Incompetech.com has a great online graph paper generator, that lets you customize pages to your specifications and then download as PDFs so you can print copies as needed. There’s a wonderful variety of designs: Squares, circles, hexagons, brick patterns, etc. — even specialty pages (music notation, accounting ledgers, perspective & more). You’ll find these PDFs extremely useful. Bookmark for use when you need it! This “History for the thoughtful child” by Rob & Cyndy Shearer outlines a reading program which will take you through the history of Israel by reading through the historical books from Genesis to Nehemiah chronologically. Old Testament history is divided into 196 Bible readings (approximately 1 chapter each) along with some suggestions of how to cover the material and keep it interesting. For each reading there is a series of questions to help you focus on the significant details. There are also a number of background notes and some suggestions for further study. This book won’t answer all your questions, but it will give you a well thought out program of reading and studying the ancient history of Israel. This is intended as a first history course for the early elementary grades (though many parents are using it with high school students). The complete ebook is available at this link on Lulu. You’ll need to go through checkout to download it, but it is totally free. Here’s a wonderful freebie for your nature studies. The Cornell Institute of Ornithology offers its 12 page BirdSleuth Explorer’s Guidebook absolutely free to download and print. The full color 14 page booklet includes lots of great stuff for identifying birds, including some fun activities and worksheets to fill out. This is a great printable to help get kids interested in birds and will teach them lots of the basics of bird watching and bird identification. CLICK HERE to go to the download page at MagicalChildhood.com. You can find it at the very bottom of the page. Here’s a unique “living history” twitter account, which livetweets the events of the Second World War as it happened in “real time” on this day in 1940 & for 5 years to come. Events unfold as they happened during the war, with frequent updates throughout each day. It’s filled with amazing period photos and brief commentary — great for students studying WW2. CLICK HERE to go to this Twitter account! Do you know someone who has had to begin homeschooling a high-school age student at the last minute? Who doesn’t? Well, this resource will be of tremendous help in that situation. HomeschoolCollegeUSA.com put together this “emergency” page for parents looking for courses they can begin immediately with a student pulled from a public school system, with little or no time to research and prepare for homeschooling, It was put together as one a student can start at any time without a lot of prep work. The courses listed (with the exception of their recommended math courses) are all free and only require internet access, plus paper and pens/pencils for note-taking when needed. HomeschoolCollegeUSA also offers a four year curriculum for high school students, plus resources that help students to earn college credit via CLEP while still in high school. Check out the whole site… loads of great resources for homeschooling any high school students.